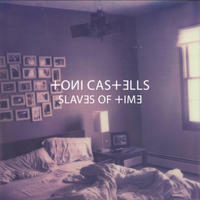 Toni Castells: Puccini meets sigur rós. "I must have been 2 years old when I first heard Abba's "Chiquitita" on my parents black and white TV back in the Spanish Pyrenees, in a small town near France called Berga. From that moment I knew that something magic was inside those sounds, something I couldn't quite comprehend, I didn't even know back then those sounds were called music, but I knew for certain that this was the thing I would devote my energy for the rest of my life." 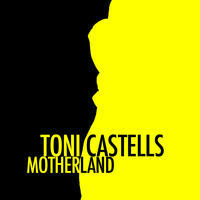 Toni Castells started music at the age of 4. He started playing classical guitar, clarinet and piano together with composition studies. With the school's orchestra he toured extensively Europe and Spain. At the age of 14 Toni won the coveted St. Joan de Vilatorrada composition prize with the experimental piece "Imatges", written for flute and piano. At the age of 12 Toni formed his first band, Korrefok, a folk-rock band with progressive rock influences. The band won several local band competitions and got signed to AZ Records under a new name, Herzia. Herzia's debut album - "Coses que Passen" (1999) - was named by the Spanish specialised music press one the most influential albums in 1999. In the year 2000 Toni moved to London to work with Spanish pop legend José María Cano from the band Mecano, the best-selling Spanish band to date. With José María, Toni worked alongside opera stars such as Plácido Domingo. He soon started working as a recording engineer at the Royal College of Music, where he recorded conductors such us Lorin Maazel, Bernard Haitink and Sir Roger Norrington amongst others. 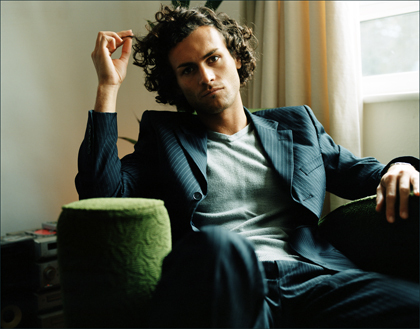 In London, Toni immersed himself in the diverse and blossoming music scene and reinvented himself as an artist merging classical music, opera, pop, electronica, poetry and visual arts. "Somehow I wanted to combine all the things I loved into a single project collaborating with other artists. The collaboration process fascinates me, when an artist betters my music I feel humbled and fulfilled." In the years to come Toni has had the opportunity to collaborate with Multi-Grammy Award-Winning classical producer Michael Haas, Spanish pop star Beth Rodergas, sopranos Hayley Westenra, Camilla Kerslake and Laura Wright and American tenor Noah in his number 1 self-titled debut album. Toni's already established fan-base reaches 5 continents, selling in over 20 countries around the world. 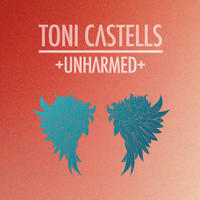 Toni's debut album "Unharmed" (2007) was released to critical acclaim achieving the iTunes Top 20 charts. Its operatic live show "A Celebration of Love" (2008) was premiered at Bush Hall London and completed 10 full performances across Europe. During the years 2008 and 2010 Toni appeared on prime time Catalan and Spanish TV and in the year 2011, Toni released an astonishing 5 albums at the same time. Amongst these, the iconic "Creation" (2011), in which Toni starts his life long collaboration with Vienna-based American soprano Rebecca Nelsen. "Creation" (2011) was taken to the live stage in the year 2012 with the operatic spectacle "Life from Life" (2012), which was premiered at Union Chapel on the 15th of November 2012 and released as a live album in July 2013. 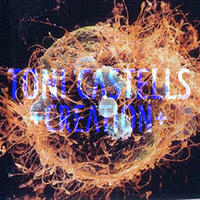 You can find out more about Toni Castells at 크레이지슬롯 사이트www.tonicastells.com. Toni Castells lives in London, England. Tagged as: Electro Rock, Classical, Opera, Ethereal, Prog Rock.